Palm, best known as the pioneering manufacturer of the first mainstream personal digital assistant (PDA) in the early ’00s, is making a comeback with a new phone. The phone hits Verizon stores on November 2 and sells for $US350. Palm, a gadget brand known for its pioneering personal digital assistants (PDAs) from the early ’00s, is making its return with a smartphone, designed as a travel-size companion to your regular-sized main phone. The phone hit stores on November 2 and is selling for $US350. 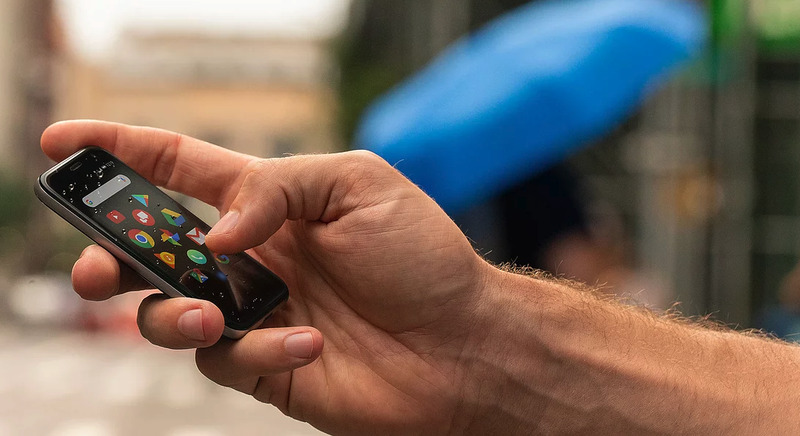 The idea, it seems, is that you carry around your smaller Palm phone, and leave your regular phone at home, thus combating your app addiction. Oh – and NBA star Stephen Curry has been brought in to promote the new Palm. The Palm phone is an Android device about the size of a credit card (approximately 2 inches by 3.8 inches) that’s essentially supposed to be an on-to-go version of your existing smartphone. The mini phone syncs with your regular smartphone (either Android or iOS), which means that the devices share the same number and both receive calls, text messages, and other alerts. It’s exclusively available for use on the Verizon network. Notably, while Palm bills this device as a companion device, it seems to be a fully-featured smartphone unto itself. It has both a quality camera on both the front and the back. And it seems to run a fairly typical version of Android, so it can install apps from the Google Play store and let you talk to the Google Assistant. That’s a contrast to recent minimalist smartphones, which take on app addiction by stripping features down to just calling and texting. The battery life doesn’t sound amazing on paper – Palm says it can last about 8 hours. However, the phone can apparently last all day on something called “Life Mode,” which helps filter out calls and notifications. Palm’s website boasts a number of accessories exclusively made for its phone that encourage the on-the-go concept, including a Kate Spade wristlet, a bike mount, a sport sleeve, and a lanyard you can hook to your phone. Palm isn’t the only early-’00s company to make a make a big comeback play recently. BlackBerry released the KeyOne last year and the Key2 this year, both with full physical keyboards. The Chinese tech giant TCL now owns both Palm and BlackBerry, perhaps explaining all these high-profile returns.